Several options exist for a manufactured home (previously known as mobile home) setup. An existing piece of land, a manufactured home park, or selecting and purchasing a new property. This article discusses important considerations on how to set up a manufactured home on land. 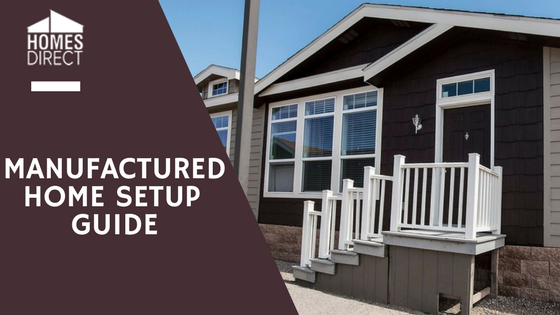 The installers of manufactured homes on site are called “set-up” companies. The installer technicians are employees of the retailer or they work as contract employees. A set-up company may also be a site preparation contractor, and this is preferred because one company performing both functions can result in a seamlessly coordinated effort rather than two separate entities working on the project. Many installation projects incur delays and problems which seem almost impossible to resolve, and at the least require added time to resolve. A properly prepared site is essential to the installation quality and appearance of the home. For example, a leveled lot will allow the use of smaller piers or blocks to support the home resulting in a lower profile appearance, requiring fewer steps at the entry and less skirting height around the bottom perimeter of the home. The lower setup also provides for a sturdier foundation. The installer will not necessarily set the home as low as the grade will allow, so it is important that you have an agreement with the retailer that your home is to be installed as low off the ground as is legally possible. The land must be accessible to the transport vehicles that will bring the home to the land for installation. The ground should be compacted to a specified bearing capacity before the foundation is designed or before the home is installed on the ground. The soil capacity can often be determined by local soil records or by tests. A pocket penetrometer can be used, or another method may be specified by the authority having jurisdiction. If the soil appears to be composed of organic clays, peat or uncompacted fill or if it has any unusual conditions, then a registered professional geologist or a registered civil engineer should be consulted. The earth underneath the home should be graded to create a crown and prevent a depression. This will ensure that water will travel away from the home. A vapor retarder should be installed under the home if it is to be enclosed with skirting or blocks. The vapor retarder keeps ground moisture out of the home. The prevention of ground moisture from entering the home is as important as a good drainage. The property must have good drainage to prevent problems with the foundation or the earth that the manufactured home is installed on. It may be necessary to have a soil test done to ascertain the drainage capability of the ground. This is also an important factor for installing a septic tank leach field. The drainage should prevent water build-up under the home as well as shifting and settling of the foundation. Good drainage will prevent damage to the home such as buckling of the floors and walls. A concrete foundation will be more stable, and it will not be washed away. A cement contractor and a civil engineer need to assess the ground where you want the home to be installed. They will consider factors such as frost levels, water washouts, and most importantly the strength of the concrete that is to be poured. Concrete is a complicated material and a civil engineer should stipulate the type of concrete you would need for a stable slab. 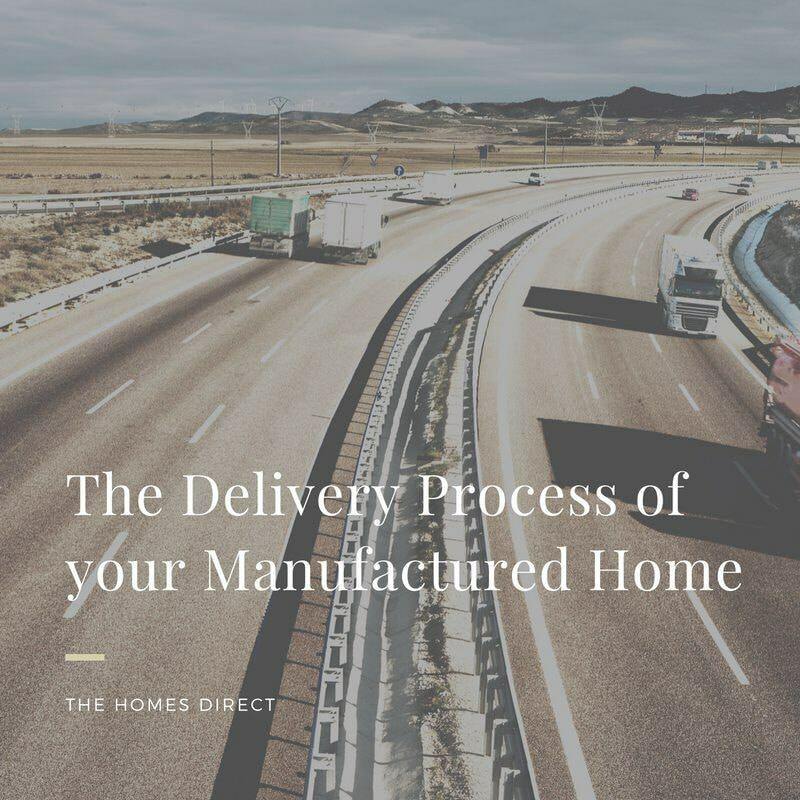 The manufactured home company should provide you with a plan that shows what pipes, lines or cables will be run under the concrete floor and where these will need to come up from the floor to be utilized. It is important that accommodations be made for these items before the concrete is poured. Likewise, mounting parts will need to be installed where and how the manufacturer determines their location to be the best. Make sure the dirt slopes away from the home's foundation. This will prevent any water buildup around the foundation and ensure that water will not get under the foundation. Water that does get under the foundation can wash the dirt away creating an ideal condition for a void which can cause the foundation to crack. If the void is large, the house may start to break apart. 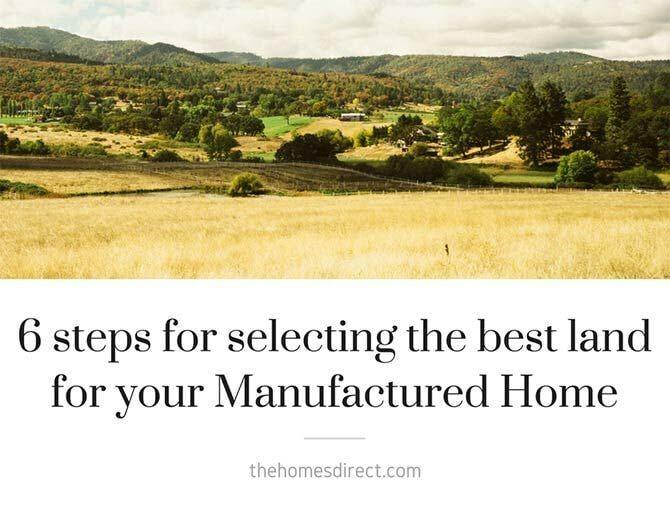 When the home is to be installed on dirt, it is important to understand the use of the land before it was converted to manufactured home sites. For example, if the land was used for vegetable farming, then the dirt is likely to be loose and it could be unstable. You can have the soil tested for its stability. Too many homes installed on dirt have had their support members washed away leaving the home in a difficult position or more like several difficult positions. The following is a general version of the installation procedure without addressing the many regulatory and technical aspects of the installation that may apply to your home. Upon arrival, the home is separated from the transport vehicle to allow room to remove plastic sheathing that was to protect the open sides during transport. The setting of tie-down anchors may be placed before placing the home. Black polyethylene membrane sheeting is installed over the ground as a vapor barrier when a concrete slab is not in place. The home is set using triangular steel piers or concrete blocks that are approved for the load bearing requirements of the home. Lags and bolts are used to mate the floor and ceiling sections, as prescribed by the installation manual. A water level is used to ensure that the floor is leveled, and if it isn't, then the floor is leveled using a water leveler, adjusted by screwing jacks attached to the piers or blocks. Utility lines and heat ducts are connected from section to section of the home using crossover connectors provided by the manufacturer. Roof sections are attached, sealed, and capped with matching roofing shingles that were shipped with the home. Center end sections are sealed and bolted together with matching exterior siding material. Tie down straps are fastened to ground anchors and attached to the main I-beams that run lengthwise to the floors. Utility lines are connected to the supplier sources at the site. Power cannot be activated until the home has been inspected, tested and certified for occupancy. If the home is equipped with drywall, then the drywall seams are taped, textured, and finished by a drywall contractor. The drywall contractor will also repair any cracks in the drywall that were caused by transport. Carpeting and padding will be installed in the appropriate areas by a local installer. All systems, such as water, sewer, gas, and electricity are checked and tested for efficiency and continuity by an expert inspector provided either by the state or a local authority. If a qualified inspector cannot be provided by one of these authorities, then it is essential that you hire an inspector with credentials that will ensure you have a chance of getting the inspection that will result in the home being certified for occupancy. Set-up instructions are provided to the installer by the manufacturer and are approved by federal statutes. The guidelines must also comply with published requirements of state and local jurisdictions. 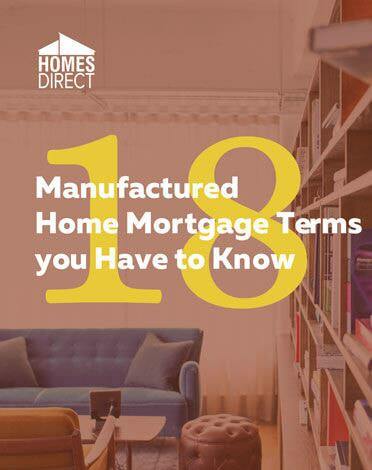 All materials used to install the manufactured home must conform to their listing by the manufacturer and approved by state housing agencies. Materials supplied by installers other than those listed above are strictly forbidden.